Firewall Analyzer dons the role of Network Traffic Analyzer. 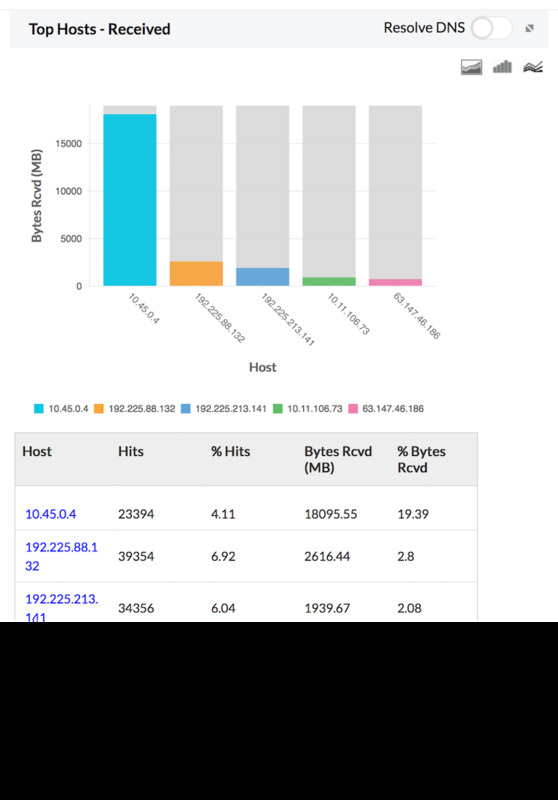 Firewall Analyzer provides you (network administrators) an unique way to analyze the traffic of the network. 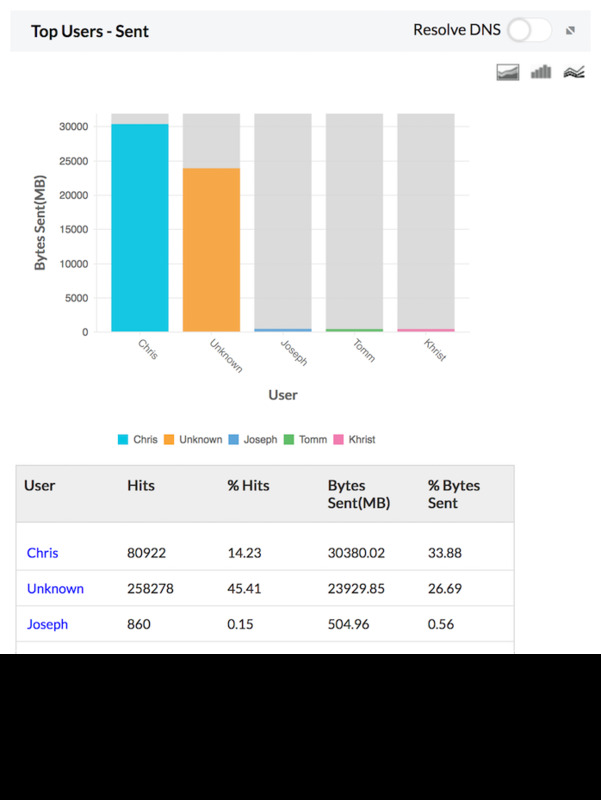 Firewall Analyzer measures network traffic based on the analysis of logs received from different network firewalls. 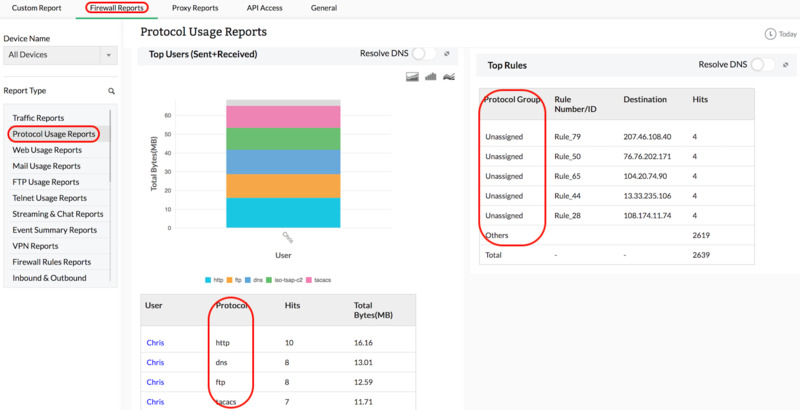 Firewall logs are collected, archived, and analyzed to get granular details about traffic across each firewall. You need not deploy any hardware probes or collection agents to get these details on traffic. Network Traffic Analyzer part of Firewall Analyzer carries out traffic analysis which best suits non-NATed (Network Address Translation) networks. The traffic information captured from the Routers will not be suitable for non-NATed networks and it works good for NATed networks. Firewall Analyzer will be able to perform the traffic analysis easily, because the IP address/host name information of source and destination of traffic inside the network is available at the firewall log level. From the Firewall log data, Firewall Analyzer extract a lot of information about the traffic. As a network administrator, you can visualize the behavior pattern of the network traffic from the traffic analysis reports. Network Traffic Analysis reports answers to a lot of traffic related questions. Who is sending, receiving the traffic? 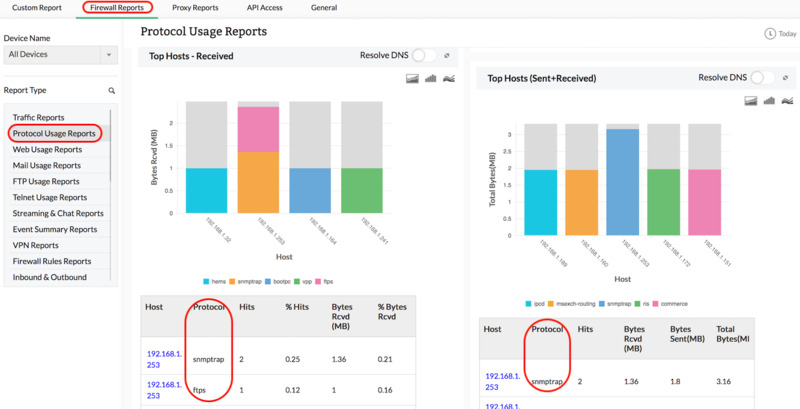 Which host is sending, receiving the traffic? What is the traffic share of various protocols? When the traffic is getting clogged? If your business depends on inward web traffic, it is critical to keep watching the traffic for maximum business usage and fair personnel usage. In this scenario, traffic congestion will hamper your business and keep your customers away. Hence, both inbound and outbound traffic analysis reports are necessary. Do you want a live demo from our technical experts on how to perform in depth traffic analysis ? 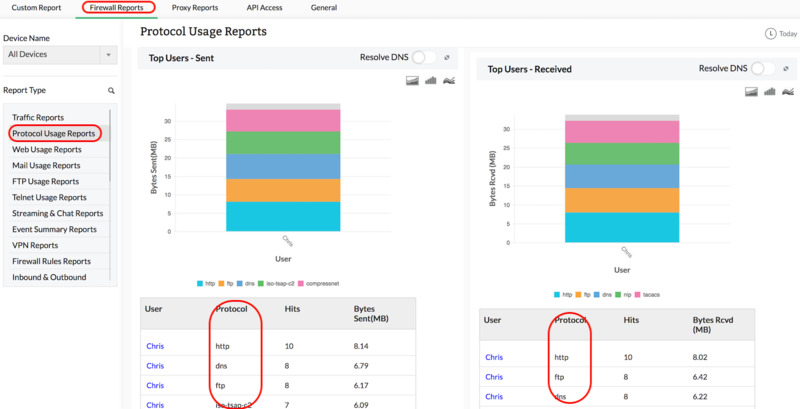 The details of the traffic sent by Hosts, Protocols and Users for the specific firewall are provided in the form of graph and table in the Traffic Reports. 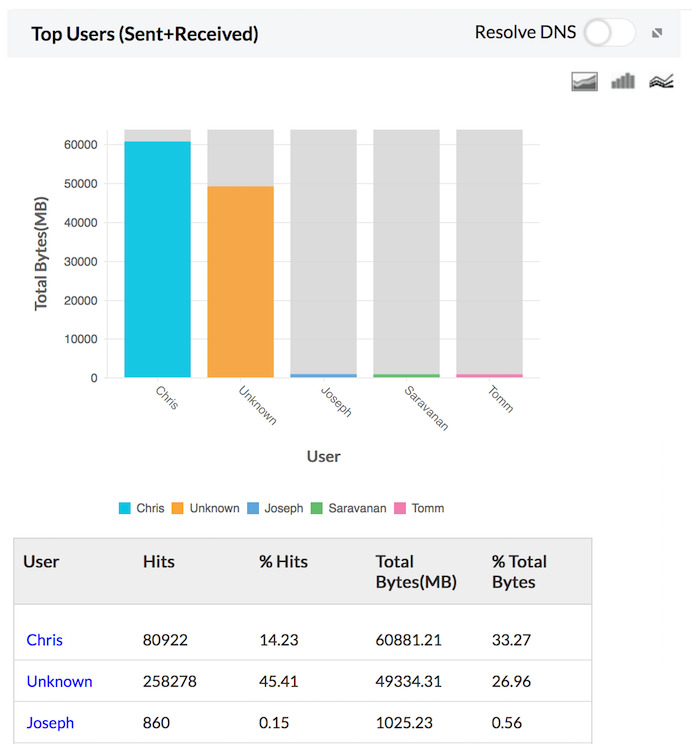 The granular details of the sent traffic for your network through each of your configured firewall can be drilled down. 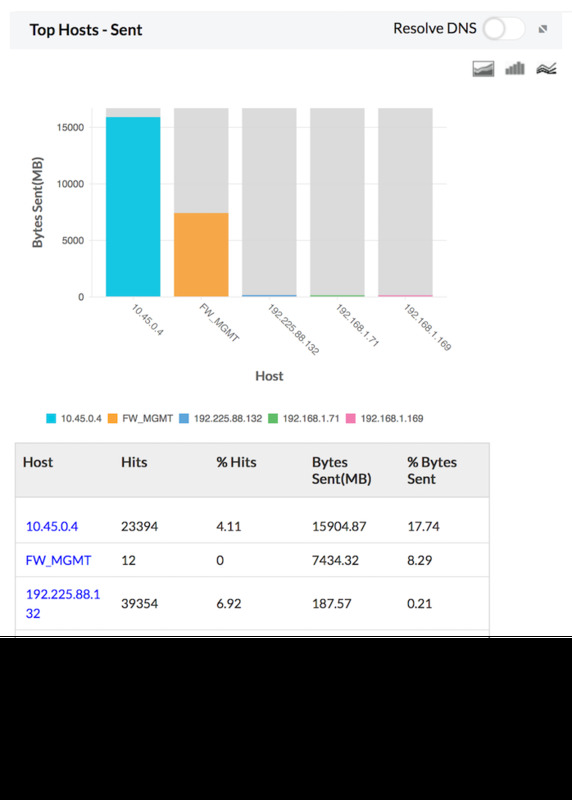 The details of the traffic received by Hosts, Protocols and Users for the specific firewall are provided in the form of graph and table in the Traffic Reports. 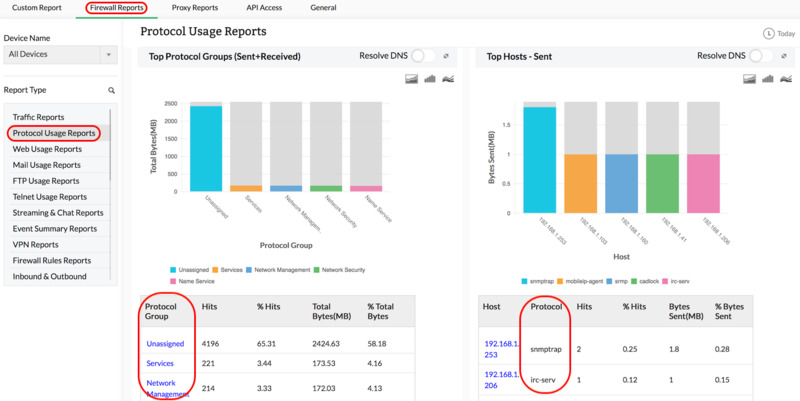 The granular details of the received traffic for your network through each of your configured firewall can be drilled down. The details of the total traffic (sent plus received) by Hosts, Protocols and Users for the specific firewall are provided in the form of graph and table in the Traffic Reports. The granular details of the total traffic for your network through each of your configured firewall can be drilled down. 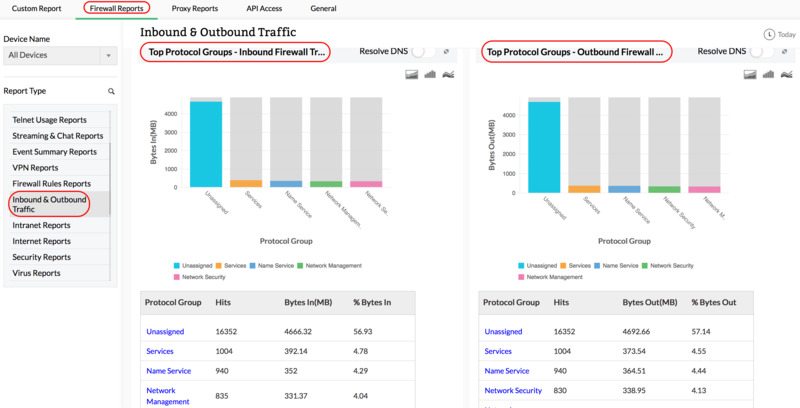 The details of the Hosts and Protocol Groups based inbound and outbound traffic of the network for the specific firewall are provided in the form of graph and table in the Inbound and Outbound Traffic Reports. The granular details of the inbound and outbound traffic for your network through each of your configured firewall can be drilled down. The details of the total external traffic (sent plus received) of the network (Internet) by Top Conversations (External), External Hosts, External Protocol Groups, and External Servers for the specific firewall are provided in the form of graph and table in the Internet Traffic Reports. The granular details of the internet traffic for your network through each of your configured firewall can be drilled down. 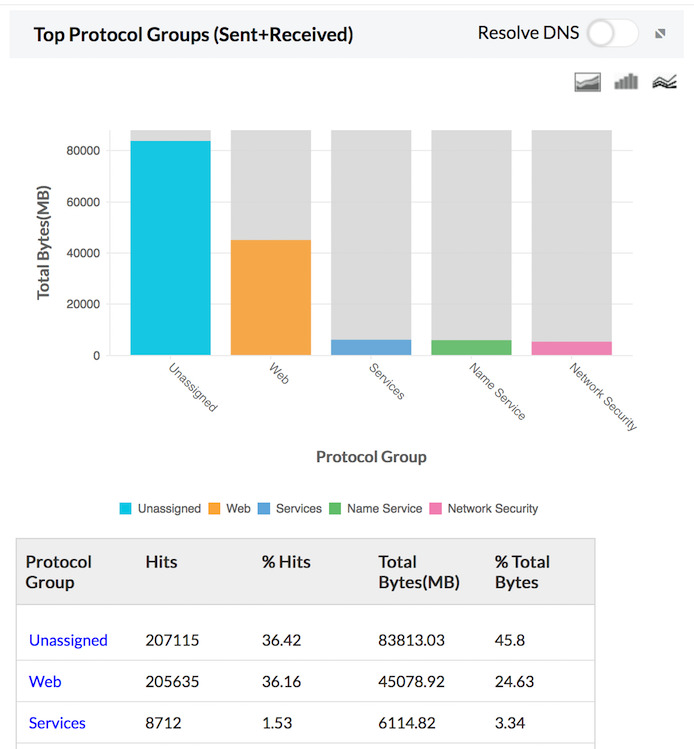 The details of the total internal traffic (sent plus received) of the network (Intranet) by Top Conversations (Internal), Internal Hosts, Internal Protocol Groups, and Internal Servers for the specific firewall are provided in the form of graph and table in the Intranet Traffic Reports. 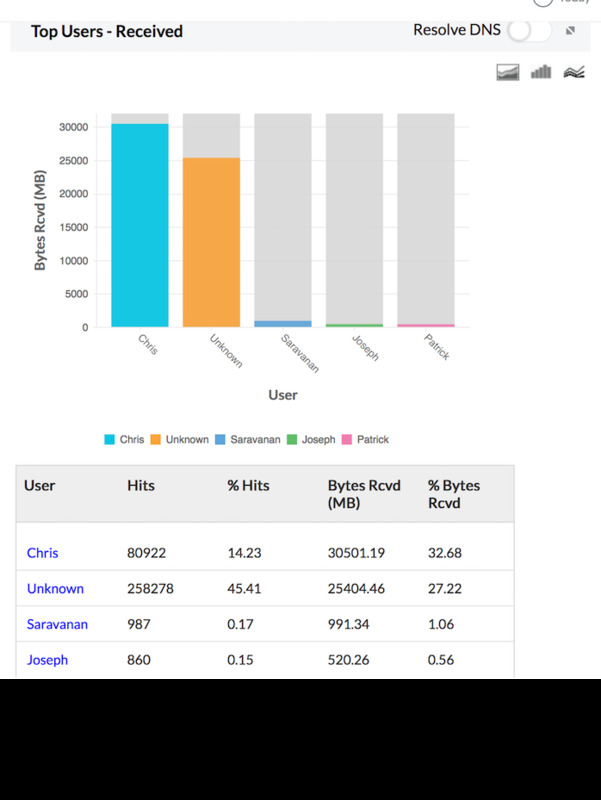 The granular details of the intranet traffic for your network through each of your configured firewall can be drilled down. You can get protocol-wise bandwidth distribution across each of your network firewalls, thus giving you an idea of the type of traffic protocols being used or misused in your network environment. 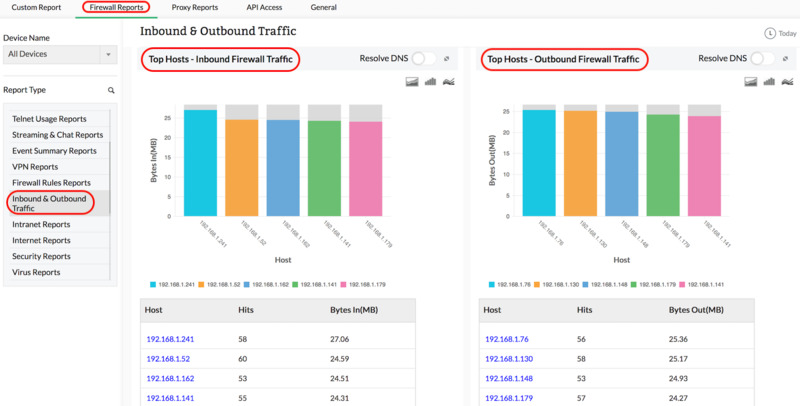 Firewall Analyzer also provides a protocol-wise break-up of inbound traffic and outbound traffic flowing across your network firewalls, along with consolidated measurement of total bandwidth (Total Traffic) consumed by each protocol, and by each firewall.